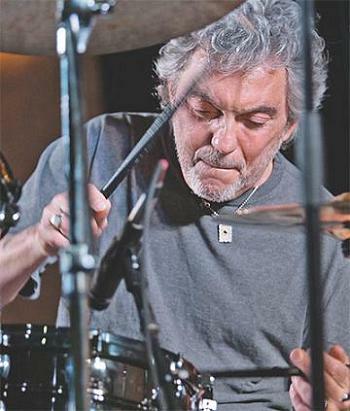 Born in 1945, Steve Gadd is one of the greatest creators of the modern drumset (heel-toe playing, 3 or 4 limbs rolls (with left foot and/ or right foot, "linear drumming"), polyrhythmic shifts, ghost notes and break beats integrating conventional military rudiments, heel-toe and irregular syncopations with the left foot, arpeggios, double pedal recently, etc.). Gene Krupa's admirer with whom he played at 9 years old (he often uses the "flam tap"), he joined the music of the army (“U.S. Army field band”) during his military service during the Vietnam War (see his solo "Crazy Army"). He began his career with Chuck Mangione and then Chick Corea and Paul Simon among others, in the 1970s (his sophisticated pattern in "50 Ways to Leave Your Lover" remained in the annals). Vinnie Colaiuta and Dave Weckl surely owe him a lot (it's not for nothing that they played in a "drum battle" trio with the Buddy Rich Big Band). He has recorded with the greatest in all styles: blues, pop, rock, funk, disco, jazz, Latin (as well Brazilian as Cuban) and of course jazz fusion, of which he is one of the pioneers (listen notably his original version of Cuban" Mozambique", which has very funky and samba sounding or his use of "paradiddles" in syncopation, with the right foot and left hand in independence). His subtle sense of tempo ("swing" and "groove") and dynamics, is legendary. 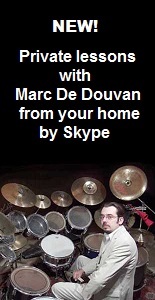 He recently integrated the bass drum double pedal with original practices such as ternary roll polyrhythmically in 3 over 4 as ostinato, with improvised playing of the hands in independence ("interdependence", inspired probably by Terry Bozzio or Thomas Lang). Some regard him as the living god of the drumset. He has written scores and participated in videos (notably with Giovanni Hidalgo).